Yum! Kentucky Fried Chicken is one of our FAVORITES. 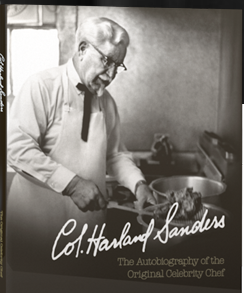 Right now, you can hurry over to the Kentucky Fried Chicken Facebook Page and score a FREE Autobiography of Colonel Sanders and or KFC Cookbook. While you're scoring FREEBIES, don't forget to pick up your FREE BBQ Grilling Cookbook!